This entry was posted on July 1, 2009 by Goplasticpallets. 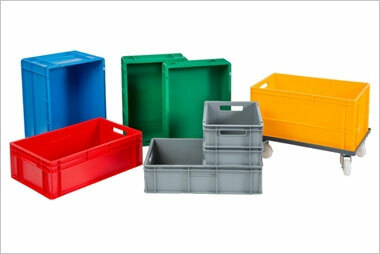 Goplasticpallets.com, the UK's leading independent supplier of plastic pallets, has introduced Europe’s largest plastic pallet box to its expanding GoBox range. 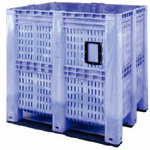 Designed in conjunction with Belgian manufacturer IPS, Goplasticpallet.com’s GoBox 1311 offers a storage capacity of 1,400 litres, which makes this pallet box ideal for large-volume storage needs. 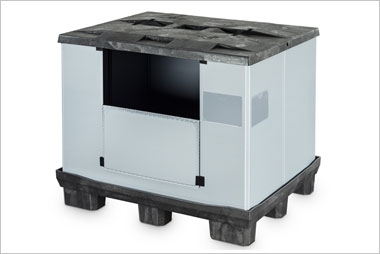 The GoBox 1311 is available in closed or ventilated versions, with replaceable skids to aid transportation. 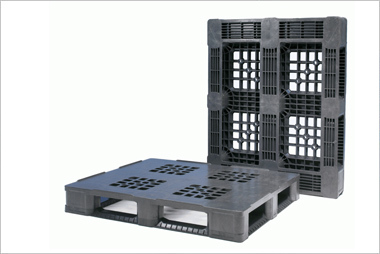 Stacking is facilitated by a stacking rim and anti-slip pads allowing the box to be easily piled up to seven high. Impact-resistant corners and reinforced cavities ensure the box has a long service life – in most cases up to 10 years, and a built-in label holder makes it easy to track and identify goods. 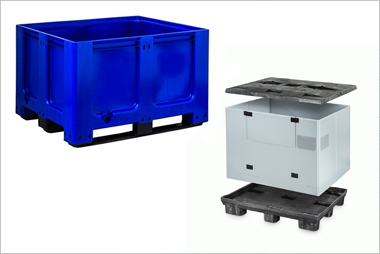 Supplied from stock in blue or dark grey as standard, the 1,400 litre plastic pallet box is available in virgin and recycled food-grade approved raw materials (HDPE). Optional features include secure-fitting lids, corporate personalisation with a choice of name, logo or numbering, and an extended colour range available upon request for orders in excess of 500 units. 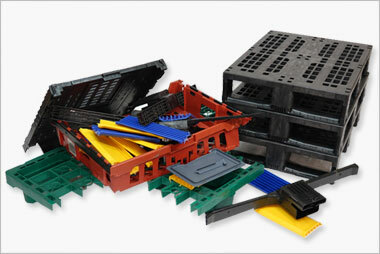 Contact goplasticpallets.com on +44 (0) 1323 744057 for more information.